The HD 200 Master is a pair of closed circumaural stereo headphones with powerful dynamics. 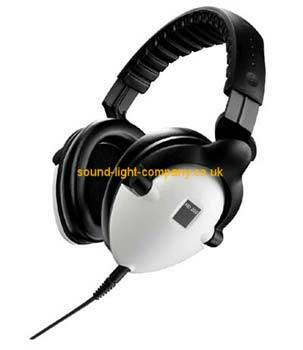 Due to their high attenuation of background noise, these headphones are ideal for DJ monitoring. A lightweight construction and new ergonomic design ensure excellent comfort for long hours of listening. The single-sided,Kevlar-reinforced, highly conductive OFC copper cable can easily be replaced.